Is it really true, premium time and tanks for bonds coming with Update 1.0? No, not really. There has been a certain video being shared across forums and Facebook groups, where someone without sources claims premium for bonds is coming with Update 1.0. While Wargaming does have an idea to, maybe, just maybe, introduce a possibility to buy premium tanks for bonds, this is still an early idea with no final decision, no defined prices and it’s not even confirmed that will come at all. So, just to make it clear: Update 1.0 will not bring premium for bonds! And if you don’t take my word, just check what was announced at the forums a few days ago. To clear thinks up about this topic: The possibility of acquiring tanks with bonds is indeed something that we are considering, however for now this is only an option and is not something that is coming in the 1.0 Update. Even if this option becomes reality at some point, we are nowhere near the point to talk about price points, so any prices floating around are completely theoretical (just like the option itself). Also, we are definitely not considering selling bonds for money. That channel who made the video is terrible, the creator is always making videos containing false information and clickbait titles and thumbnails. Not to mention promoting the most obvious scams regarding gold. Personally I’d like to see ordinary tier 8 premiums to be purchasable for bonds. It would create a nice “bridge” for F2P players where they after playing the game for a long time would be able to pick one of their favourite tanks to help out with credit grinds, crew training, etc. When it comes to CW tanks I actually don’t know as none of the CW tanks interest me that much. You are not interested for CW tanks because you are bot player. that’s the 1. Second thing, why whould WG gives you opportunity to buy tier 8 premium tank for bond, because you are old player? No kid, not going on that way, if you think to WG ”respect” you as a player, you need to spent a lot of real life money in this game. If you can’t accept those facts, you are not much better then this kid above. Yeah sure, everyone that isn’t interested in an Obj.907 with full gold loadout is a bot player :* You are incredibly deluded and stupid. It takes a year to get a single improved equipment, how long would it take to earn a premium tank? 4 years? Sure, buying tanks for bonds is a good idea, but a little difficult to do. Many people who bought tanks with real money may be against it. On the other hand, renting premium tanks for bonds is a more doable idea I think. I personally would be satisfied to have a chance to try a tank in the live server before I buy it. What really WG needs to do, is to remove loader like a crew member from autoloaders. You do realise these tanks technically still need and use a loader crew member? Bonds could be used to provide a discount for premium tank purchases in-game…you know, it’s just a suggestion. They should sell special non premium tanks for bonds. Like 15k bonds for a CW reward tank, for example, 10k bonds for Deathstar or Foch 155. You guys are missing the larger point of the article. 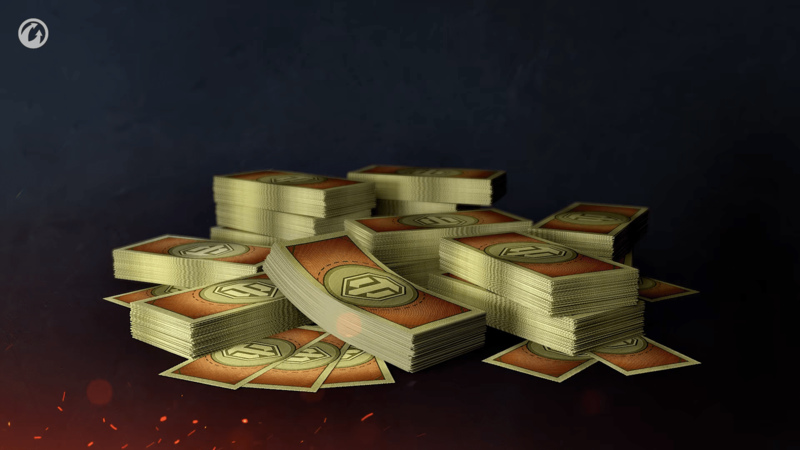 When WG says they are not considering selling bonds for money, its an obvious and blatant lie. As soon as everyone who has bonds has spent them all, they will begin selling bonds for cash and they will make huge amounts of money doing it. When they announce that special tanks and reward tanks will be available only with bonds, there will be thousands of suckers lining up to swipe their credit card. I only partially agree with you. I think bonds will be the currency to buy end game tanks. But I don’t believe for a moment that they won’t eventually sell bonds for money. Maybe we should be able to upgrade regular tanks to semi-premium ones after we elite them, and those would get +25% crew xp and credits? Tanks bellow tier 4 and above tier 8 would be excluded and price would be determined by tank tier. Where do I buy a the bonds? My father gives me 100 euro-s what I can spend for birthday on what I want to spenf. Please tell a the to me where to buy a bonds because I can not found on the premium shops. Thenk you wery much a. Previous Entry World of Warships 0.7.2: Underwater citadel hits!